Jennifer Winget's *Bepannah* Pyaar For Kashmir Will Have You Packing Your Bags! Most of our favourite Bollywood and TV celebrities welcomed 2019 on a high note. Katrina Kaif took a dip in the freezing English Channel, DeepVeer flew to New York while Kareena and Saif were seen vacationing in Europe. However, it was Jennifer Winget's snowy start to the new year that made us want to be with her. 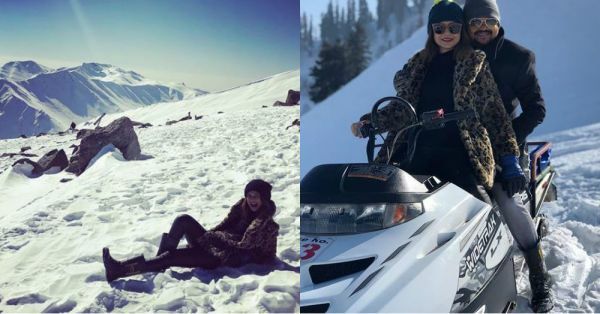 The Bepannah actress rang in 2019 in the snow-capped mountains of Gulmarg, Kashmir and in her pictures, it sure looks Jennifer was absolutely smitten by the place. The actress shared updates from her holiday on her Instagram account and captioned the post, "So mesmerized by this I am, I almost forgot to reminisce the year gone by. To more moments that take our breath away in 2019. Happy, Healthy New Year Loves." This was Jennifer making a snowman! She even took the adventurous route and went for a ride on a snow-mobile. The beautiful actress can ski too! Her pics where she was simply rolling around in the snow are the highlights of the batch. The cold weather brought plenty of snowfall to the region and Jennifer wasn't afraid to step out and enjoy the shower. She even went for a dip in the resort's pool! 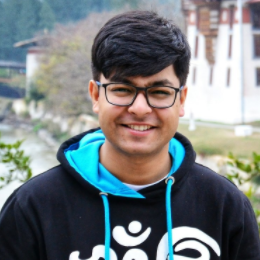 As their holiday continued, Jennifer shared another post online, beautifully captioning it, "'Agar firdaus bar roo-e zameen ast, Hameen ast-o hameen ast-o Hameen ast.' If there is paradise on face of the Earth, it is this, it is this, it is this." Avid Amit Trivedi fans will recognise these words from the song Haminastu in the 2016 movie Fitoor. Jennifer could not have chosen better words to describe the place and its beauty. Just look at it! Jennifer's holiday sure looked like oodles of fun and has us all tossing in our chairs and sneakingly looking at tickets to Kashmir.